The faculty is ideally located in Vas utca 17, one block away from the Szimpla Flat and it's easily accessible in 10 mins walk. Departments of Dentistry are located in Szentkirályi u. 47. They are accessible in 15 mins walk from the Szimpla flat in Kazinczy. The departments are mostly located in Üllõi út. They are accessible in 15 mins by Metro Blue Line M3 from Ferenciek tere. Departments are mostly located in Hõgyes Endre u. 7. They are accessible in 10 mins by Metro Blue Line M3 from Ferenciek tere. The Semmelweis University has a more than 230-year old tradition of academic excellence and commitment to the education of physicians and health care professionals. 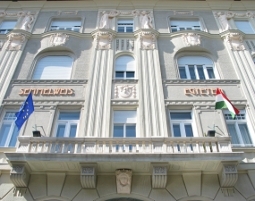 It is Hungary’s largest higher education institution with over 11000 students at present. Faculty of Medicine provides a standard of education that is fully in line with that of other high quality European medical schools. Its Medicine programme (M.D. degree) is available in three languages: Hungarian, English and German. Faculty of Dentistry is located in the recently completed Dental Clinical and Training Centre, one of the most state-of-the-art dental institutes in Europe. With its 12,000 m² of floor space and 172 dental work stations, it provides an ideal facility and conditions for both undergraduate and postgraduate training and clinical research. Faculty of Pharmacy has been a research-oriented unit of higher education ever since its foundation. Fundamental research produces some 120 original peer-reviewed papers annually with an impact factor of 200, headed usually by Pharmaceutical Chemistry and Pharmacology. Faculty of Health Sciences provides training on international level in several fields of health sciences and issues internationally competitive diplomas. There is an ever widening offer of programmes training health care professionals with about 200 distinguished lecturers and part-time teachers working within the Faculty. The Faculty offers study rooms, lecture halls, computer rooms, specialist laboratories, and a public library all equipped with state-of-the-art technology. The academic year is divided into two semesters. The 1st Autumn Semester starts in September and lasts until the end of January, the 2nd sprimg semester starts in February and lasts until July. The last 6 weeks of both semesters is the examination session.